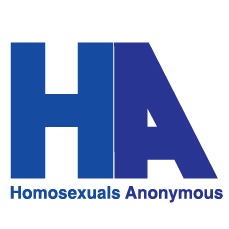 Homosexuals Anonymous was founded in 1976 (first meeting 1977 late in the year) as a result of two men, Colin, a former minister, and Doug, a former school principal, pooling their ideas on how to pass on to others what they had experienced in recovery from homosexuality. Colin, who had kept a five-year journal of his growth, analyzed the principles of that growth with helpful evaluation from Doug. From this analysis, the 14 Steps of H.A. were born. Nine of the steps came from Colin’s journals, the other five are modified from Alcoholics Anonymous. Mike Goeke - Homosexual Confusion in Marriage from Pure Passion on Vimeo. Booth, Johnson - Homosexuality & the Church from Pure Passion on Vimeo.